This Month at CO.LAB: CO.STARTERS, Idea Leap Grant Deadline & more! 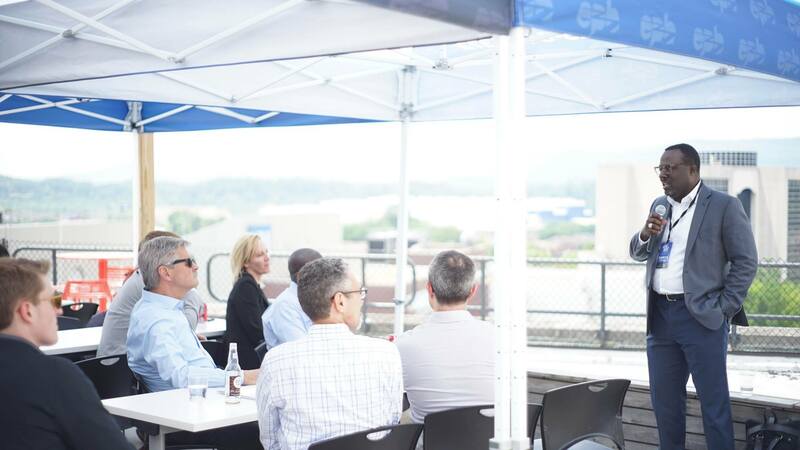 On Thursday, May 10, 2018, our organization was proud to host AOL co-founder Steve Case and his team for their Chattanooga stop of the Rise of the Rest 7.0 tour. Over the course of several months, we coordinated with other incredible organizations and companies in Chattanooga to give the Rise of the Rest team a sense of what we have accomplished in our city’s entrepreneurial ecosystem and where our sights are held in the future. Check out the video recap below as well as our photo blog that documented the day. Watch the Rise of the Rest recap below. View recap blog here. Join us on June 18 for the kick-off of our next CO.STARTERS cohort! CO.STARTERS is a 9-week class that equips aspiring entrepreneurs with the insights, tools, and relationships to get their businesses started. Learn more about the program by clicking here. As a collaborator for TVFCU’s Idea Leap program—which has lended more than $1 million to regional businesses—we are excited to see TVFCU re-investing the program’s proceeds back into the community through the Idea Leap Grant program. Over the course of the summer TVFCU will review applications and announce the five selected grant winners—each grant ranging from $2,500 to $20,000—this fall. Click the button below to learn more about the program and to see if your business would qualify. Application deadline is June 15. Click here to apply. We’re in disbelief that we are already in the middle of Week Four for our GIGTANK and Consumer Goods Accelerator cohorts! We have spent the past few weeks focusing primarily on finance and operations to help ensure these companies are equipped for rapid growth happening in the next few months as well as further down the road. Pitch practice has also been a pillar of our weekly cohort meetings—and we are proud to say everyone is showing significant improvement in their storytelling already! Weeks 1-4 in GIGTANK have reinforced the importance of Customer Discovery and Product Market Fit. Our startups have focused on the ‘Why’ behind their company, not just the ‘What.’ Through engaging 1:1 meetings and cross-cohort classroom sessions, teams have been able to use this time period to double-down on their go-to-market strategy, or pivot as they begin to develop and implement their sales and marketing plans.